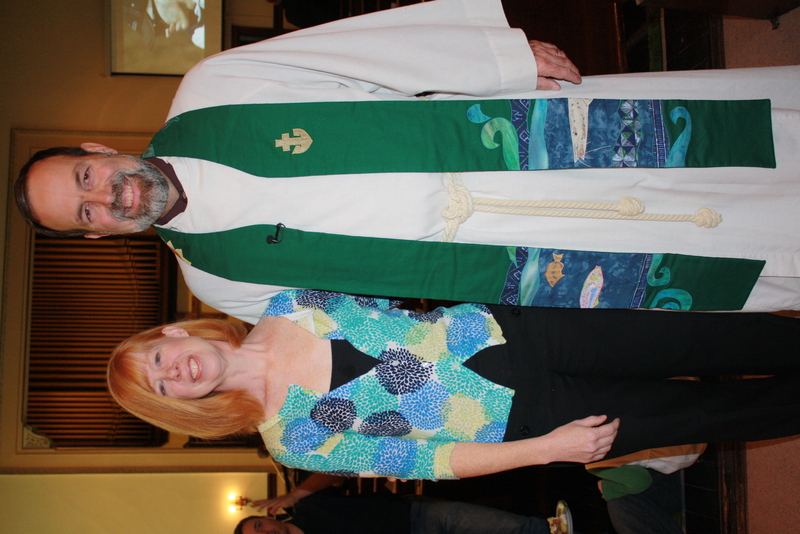 Did you ever wonder why a pastor wears the things that the pastor wears when leading worship? Well, I can’t speak for your pastor, but I have two robes: a black “Geneva Gown” and a white Alb. The Geneva Gown is modeled after the professorial robes that were worn by the highly educated clergy of the Middle Ages. John Calvin, one of the founders of the Presbyterian tradition, encouraged clergy to wear the robes as a sign of their office and education. Plus, they were warm! The Alb is patterned after the flowing white robes that were (and are) common in the Middle East during Jesus’ time. Albs represent the garb of shepherds. When wearing an Alb, I also wear a cincture – the rope around my waist. The cincture and the stole have been said to stand for many things, but the explanation I like best is that these devices represent the cords with which Christ was bound during his passion; or sometimes the “yoke” of which Jesus spoke in Matthew 11 (“Come to me, all you who are weary and burdened, and I will give you rest. Take my yoke upon you and learn from me, for I am gentle and humble in heart, and you will find rest for your souls. For my yoke is easy and my burden is light.”) In this way of thinking, the Pastor wears the stole and the cincture so that he or she might be bound to the ministry of the Word and Sacrament. But most of the pastors I know are not merely bound to their vocation – they are bound to a people. 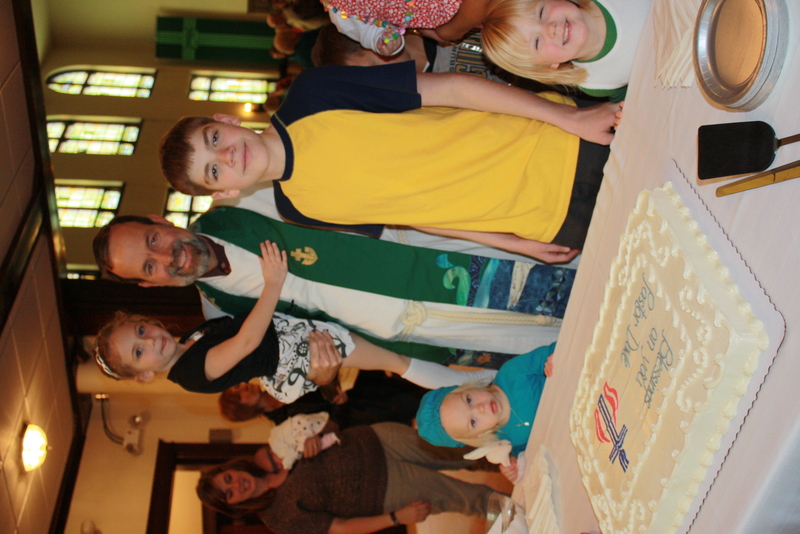 I know that this is the case with me – I am bound to the ministry of Christ in the context of this parish – the First U.P. Church of Crafton Heights. For that reason, I hardly ever preach without a stole – because while most of the time, I claim to be “Dave”, when I stand in a pulpit, or at a graveside, or wherever the Word is preached, I step into the office of pastor and remember that I am bound to that Word, and my words are not simply my own. 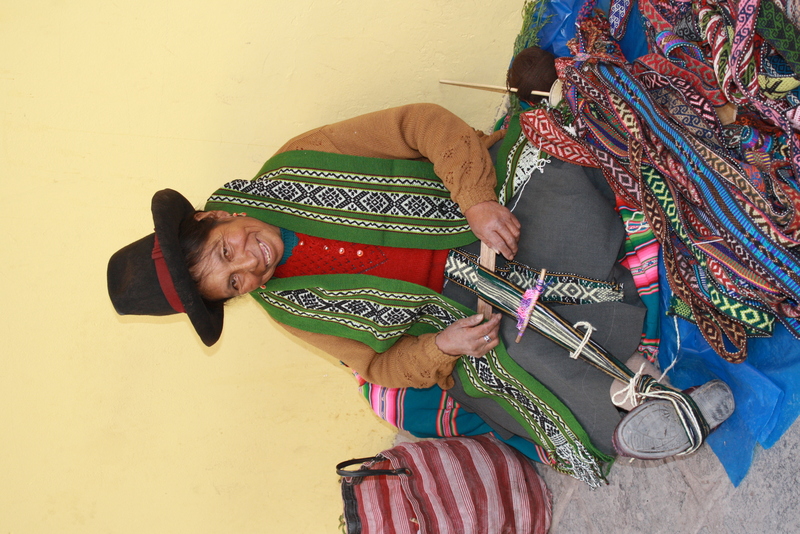 I was thinking all of that when, while walking through the streets of Cusco, Peru, I came across a woman named Serilla, who was selling a variety of weavings even as she worked to create more. 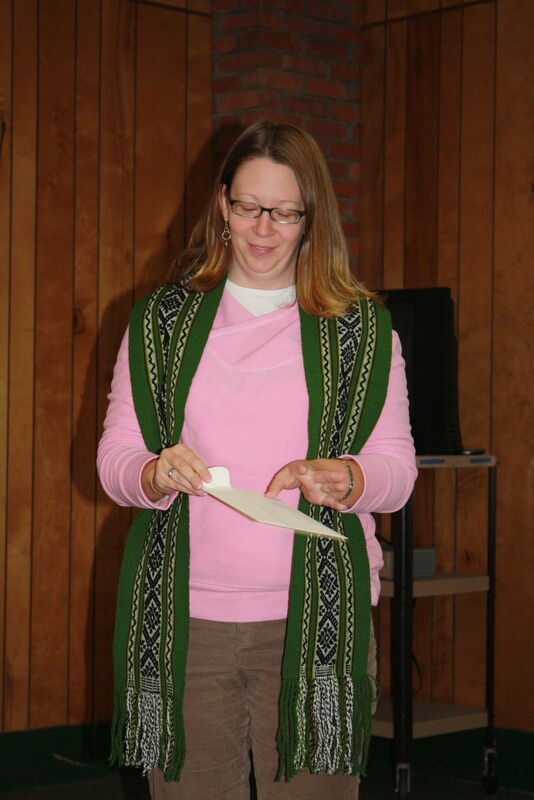 There was a long green weaving that looked as though it would be just perfect as a gift to Pastor Melissa Shaughnessy – the woman who was ordained to the ministry of Word and Sacrament in order to serve as the Temporary Supply Pastor for the Crafton Heights congregation. Serilla was happy to oblige, and we brought that home to present to Melissa. It seemed like a nice gift for a woman who has become beloved by our church, and my hope is that she will wear it and remember that she is now tied not only to the idea of the Ministry of the Word & Sacrament, but to specific people in both hemispheres. What a surprise when, upon my own return to CHUP, the congregation presented me with a stole that was hand-made by my friend Jenny Gallo of Carrot Top Studios. She designed it (with some significant input from Sharon, I understand) to reflect the adventure that was “The Fisherman’s Jubilee.” The stole, detailed below, will be a beautiful and delightful reminder, not just of the Sabbatical, but of the call that has been renewed as a result of that journey. The stole was given to me as the congregation joined me in celebrating both my return to CHUP and the twentieth anniversary of my ordination to the ministry. So if you come to the church, I hope that you’ll take a look at the stole. Admire its beauty and creativity. And I hope that you’ll join me in celebrating the ministry to which Christ calls us…and in celebrating the fact that in that ministry, we are bound together – here in Crafton Heights and around the world. Thanks be to God! What's a celebration without cake? And friends? Thanks goodness, we had both! A detail of the top of the stole, where you can see a variety of symbols from the garden that sustains me. Note the strawberries, eggplant, lettuce, sunflower, blueberries, and of course the dove and globe. The left-hand panel of the stole features a representation of the Tiger Catfish I caught in the Tambotpata River in Peru. There are also reminders of the fabric worn by my friend Fino as well as that upon which Ariel sat in Jordan. 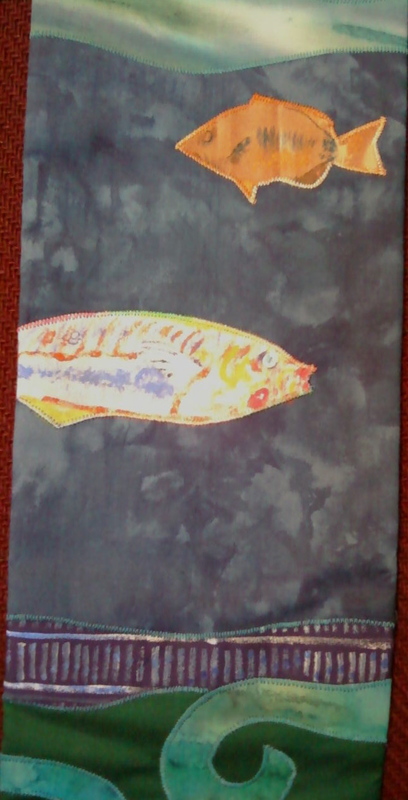 Here we can see the Klunzinger's Wrasse I caught in the Red Sea, accompanied by an actual Blue Gill from Raystown Lake. What you cannot see in any of these photos are the numerous small "50"s that appear to remind me of the Jubilee!